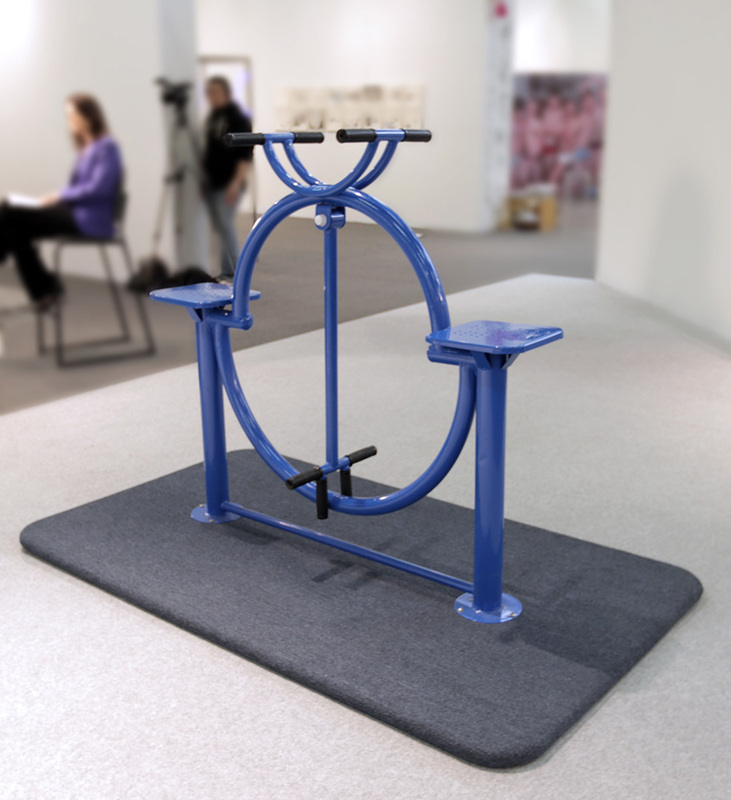 Polit-Sheer-Form’s (PSFO) ongoing pursuit of forging a space for Social-ism in today’s hyper-capitalist globalized economy has produced Fitness For All on the occasion of NYC’s 2014 Armory Show. Fitness For All is a slogan employed throughout the People’s Republic of China in tandem with campaigns aimed at motivating society to exercise and pay more attention to their health. One way this is accomplished is to install “exercise machines” throughout public parks. 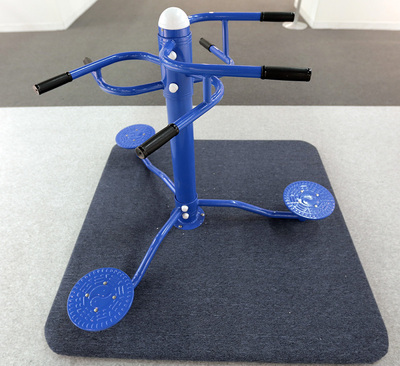 To the non-Chinese these machines and the activities upon them may appear strange, absurd, and humorous, but they are jungle gyms for adults aimed at improving blood circulation, agility and musculature. 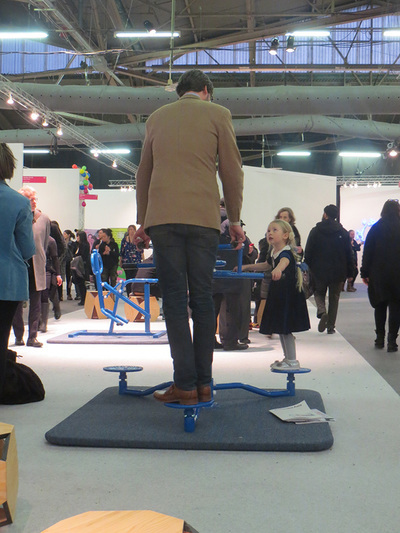 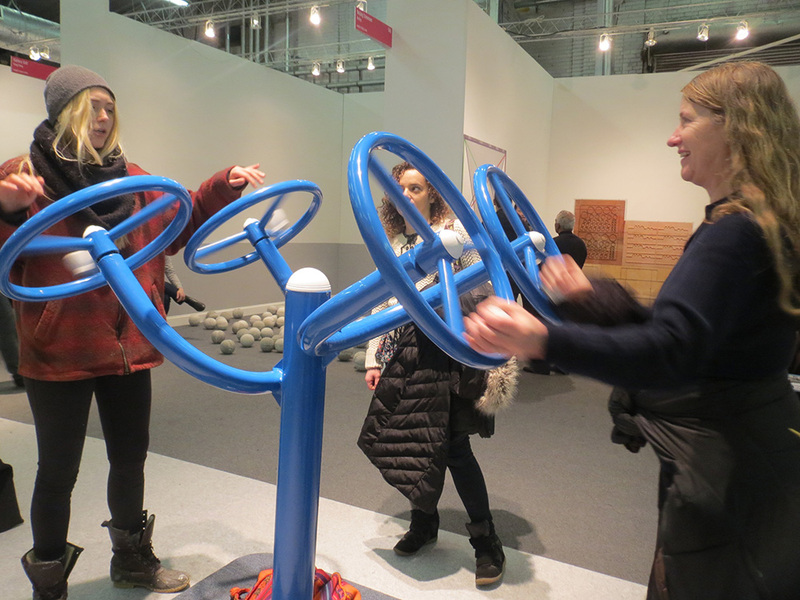 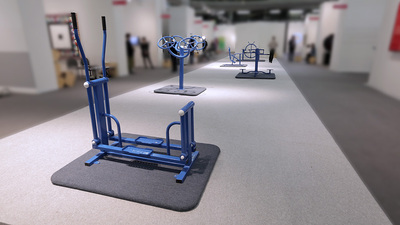 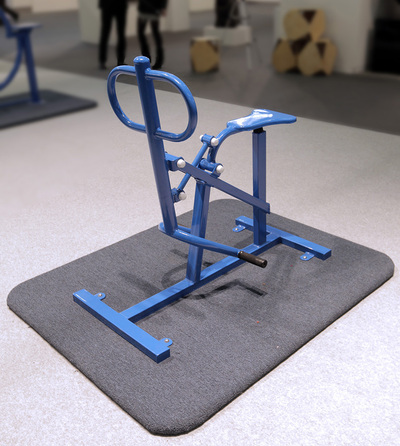 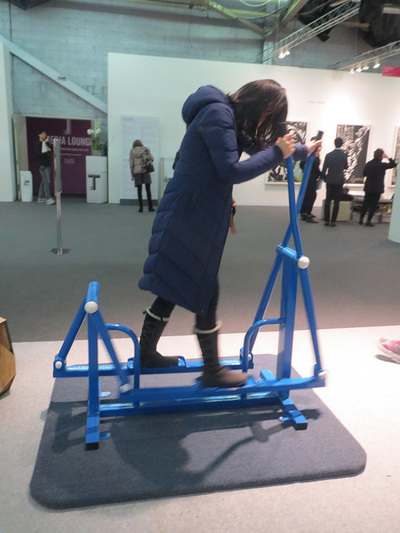 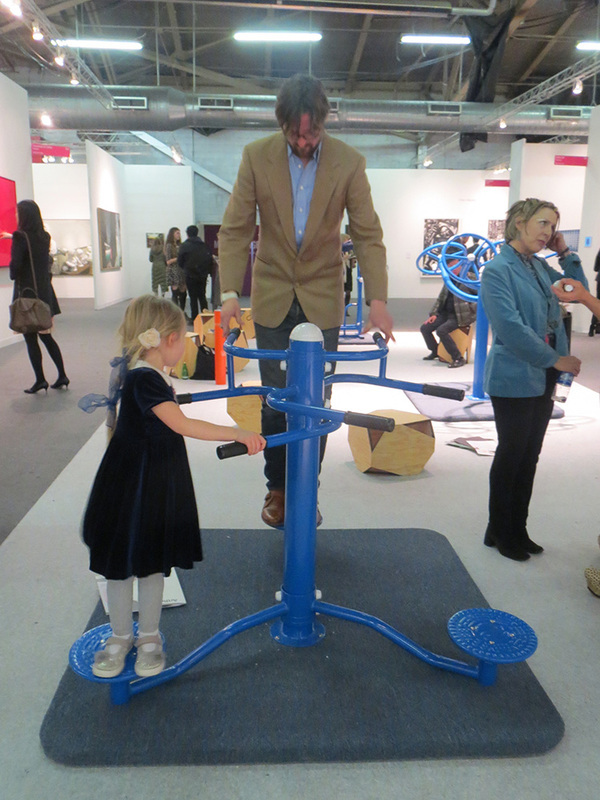 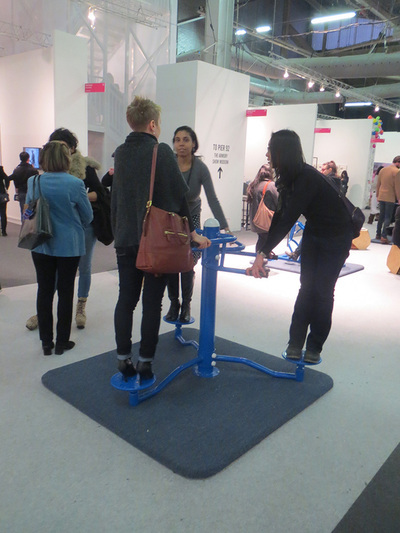 In this work five (one for each member of PSFO) of these typical exercise machines are transplanted to one of the world’s largest and most influen- tial art fairs. The works are to be looked at and used. 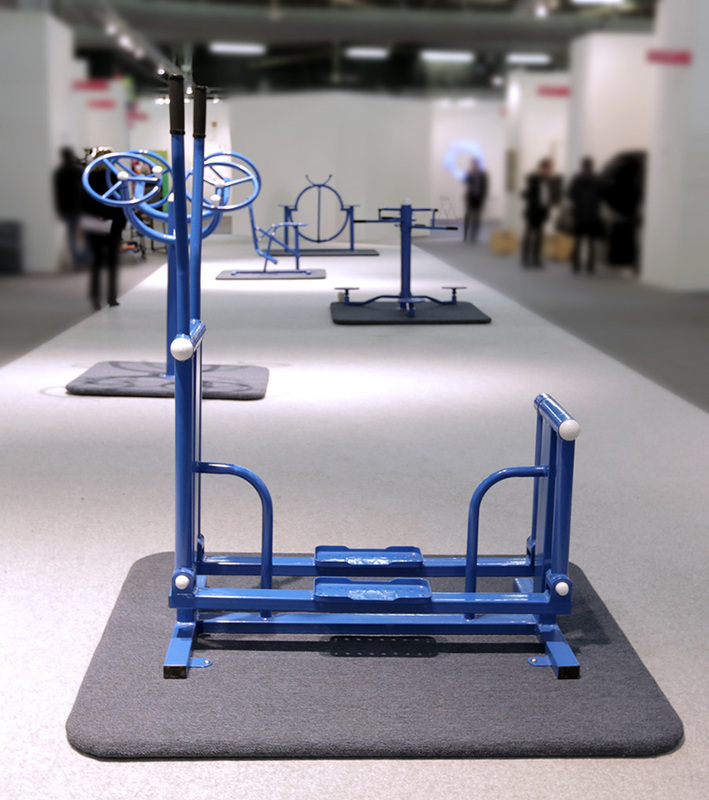 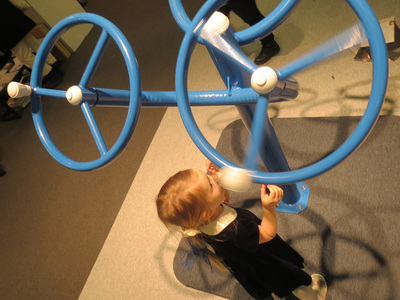 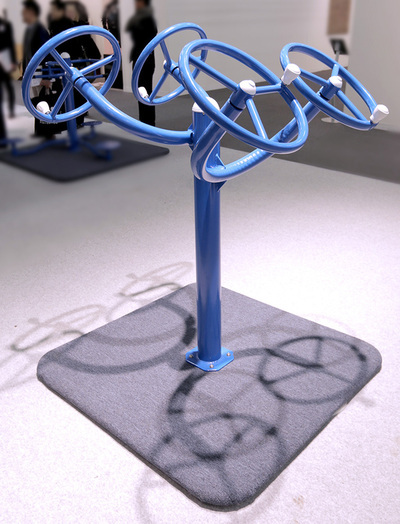 The exercise machines can pass as contemporary artworks with their bold colors and strange kinetic forms. 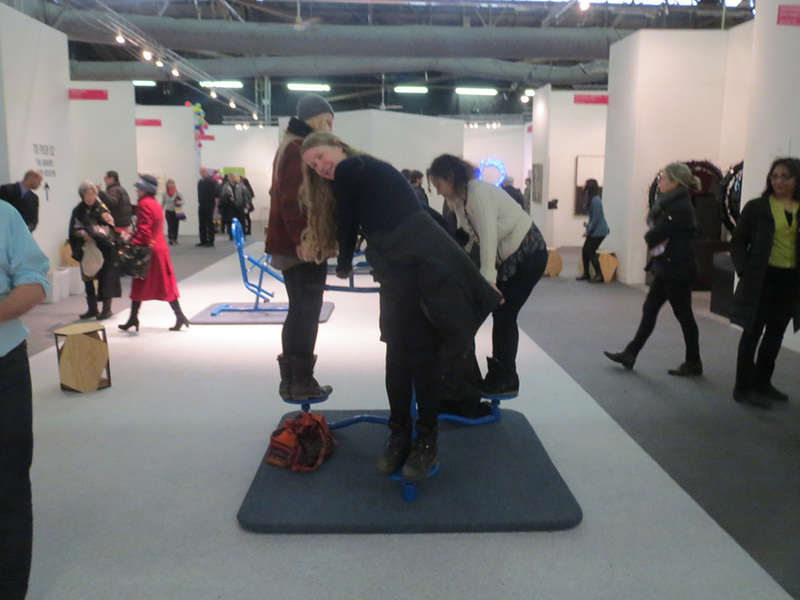 They also provide a nurturing service for the art viewer, fatigued by walking, standing, and viewing so much art. 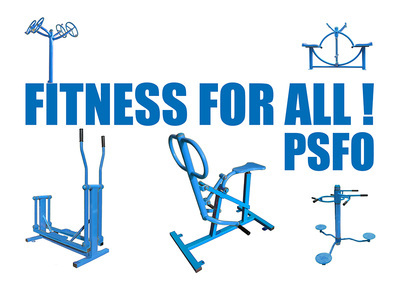 Furthermore they help spread the good socialist ethic of aiding one’s neighbor in the pursuit of a healthier life.